Here is a selection of some of our most popular treks, but there are many others that are unfrequented and absolute gems. If you want to get off the beaten track and into a completely different world contact us to discuss your plans. 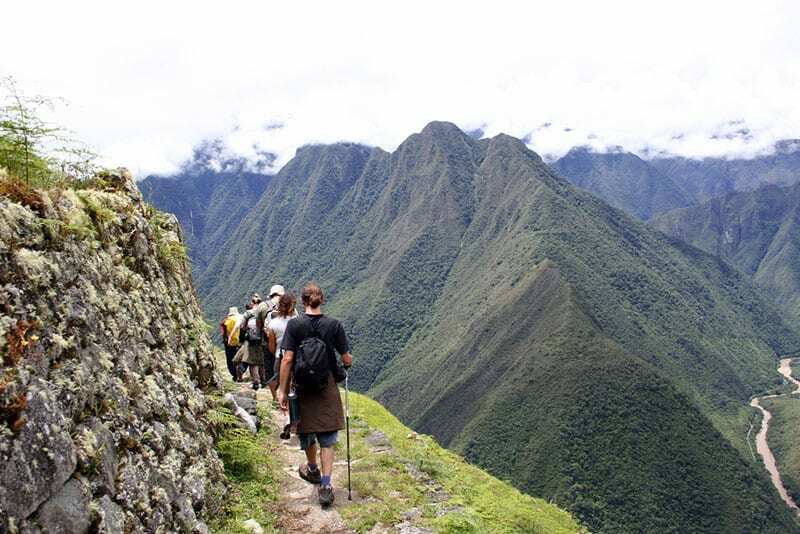 The Inca Trail: Peru – Perhaps one of the greatest short treks in the world, the Inca Trail can easily be incorporated into almost any itinerary in Peru. Surely there cannot be a more spectacular finale at the end of a trek than the magical ruins of Machu Picchu? You need to book well ahead to ensure you obtain a permit as the route is regulated to minimize erosion. The best time to undertake the trek is between May and September – the dry season in the Andean highlands. Kilimanjaro: Tanzania – This tough 7 – 10 day trek can easily be combined with a safari on the plains of East Africa and time for relaxation on the idyllic beaches of Zanzibar. 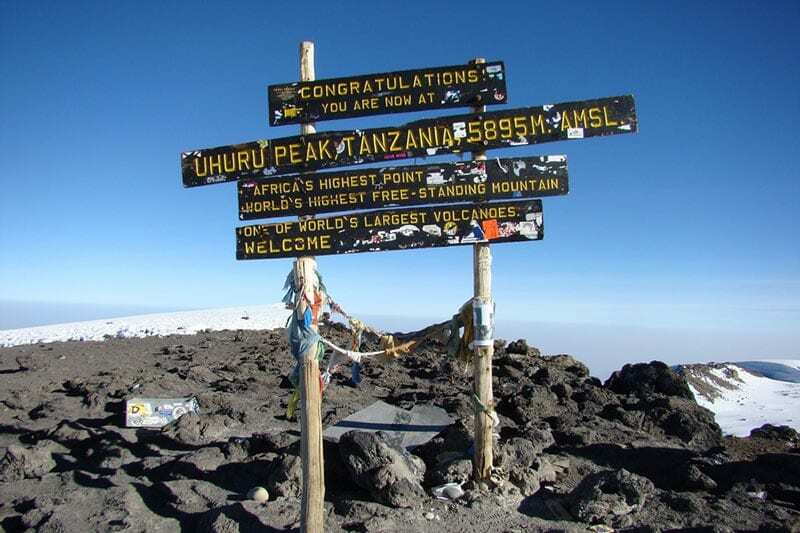 Kilimanjaro can also be linked with climbs on Mount Kenya and Mount Meru for the true mountain enthusiast. Talk to us about the best routes to the summit as there are some options with higher success rates due to their lengthier, more undulating approaches. Everest Base Camp Trek: Nepal – still a classic after so many years. This 2 – 3 week trek takes you to the heart of the most stunning mountain scenery anywhere on earth. There are variations that can be included to get you away from the main trail and into less-frequented valleys en route. 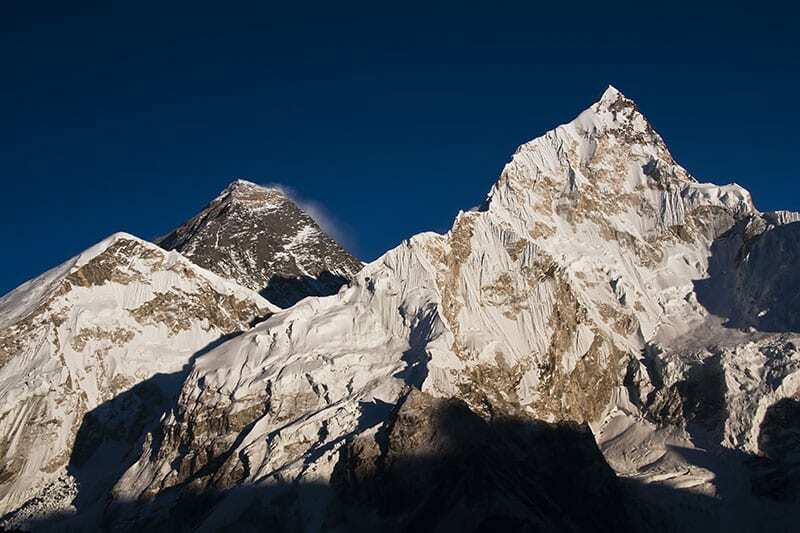 The sight of the mighty south west face of Everest soaring above the ‘Khumbu Ice-fall’ as seen from Kala Pattar is one of the world’s great mountain views. The Milford Track: New Zealand – another contender for the greatest short trek in the world. The Milford Track is deservedly popular and gets booked up many months in advance, so plan well ahead! New Zealand also boasts many other great ‘tramping’ routes with a well-established network of mountain huts to stay at along the way making for comfortable and convivial evenings after a day’s hard walking. The High Atlas: Morocco – Close to home, but a world away. Only just over three and a half hours flight time from the UK, Marrakesh is the gateway to the High Atlas. With extraordinary mountain vistas and views of the Sahara, the High Atlas is an excellent choice for a short trekking break. Mount Toubkal offers the chance to climb North Africa’s highest mountain whilst the rocky wilderness of Jebel Sahro on the far side of the Atlas range gives a glimpse into an ancient way of life undisturbed by outside influences. Torres del Paine Circuit: Chile – The stunning granite towers and glaciers of Patagonia are one of the most awe-inspiring sights in all of South America, and the Torres del Paine circuit takes you right to the heart of this outstanding mountain region. These peaks have none of the altitude issues associated with the bigger mountain ranges but their vertical rock faces make them seem equally as impressive as any Himalayan giant. Mont Blanc Circuit: France, Italy and Switzerland – An old favourite, but still as popular as ever. The tour of Mont Blanc is a classic 10 day trek in the heart of the Alps. Enjoy camping or staying in mountain huts en route – the scenery is unparalleled and the completing the round makes for a great feeling of accomplishment.